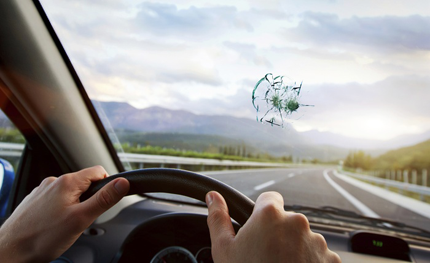 Our highly trained technicians know how to solve both small and big problems with our customer’s auto glass. Many times, small cracks and chips can be repaired using a polymer blend that is injected into the damaged portion of the glass. By the time our technician is done with the repair, it is very difficult to tell if the glass was ever damaged leaving it looking like new in many cases. Many of our new customers shy away from seeking out our glass repair services not realizing that our mobile repair teams are capable of completing most glass repairs in less than 45 minutes time. Add in the fact that we bring the shop to your location, and you should not delay seeking out repair services if the auto glass is damaged in your vehicle. At Express OC Auto Glass, our team has the experience and skill to restore your vehicle to the highest safety standards. Not only do we strive to meet the Department of Transportation specifications for safety, but we also work to the manufacturer’s specs. This helps ensure that our customers can be fully confident in the integrity of their auto glass moving forward as well as helps keep all of the vehicle occupants safe. The team at Express OC Auto Glass is standing by to answer any questions that you might have, and we love to talk shop any time that we are open for business.